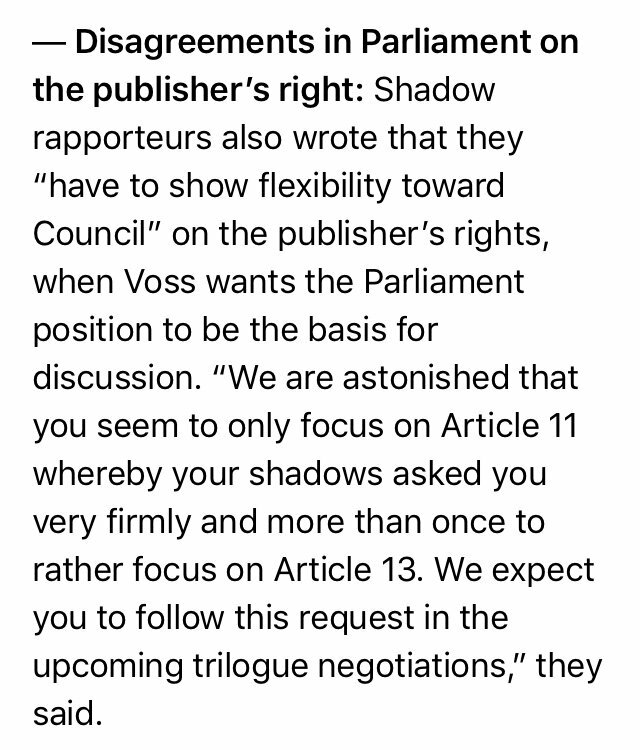 New statement by #copyright negotiator @AxelVossMdEP revels real agenda behind #Article13. He says about YouTube: Platforms that make money by giving access to ©️ protected works should perhaps not exist at all. But this is what it’s come to. 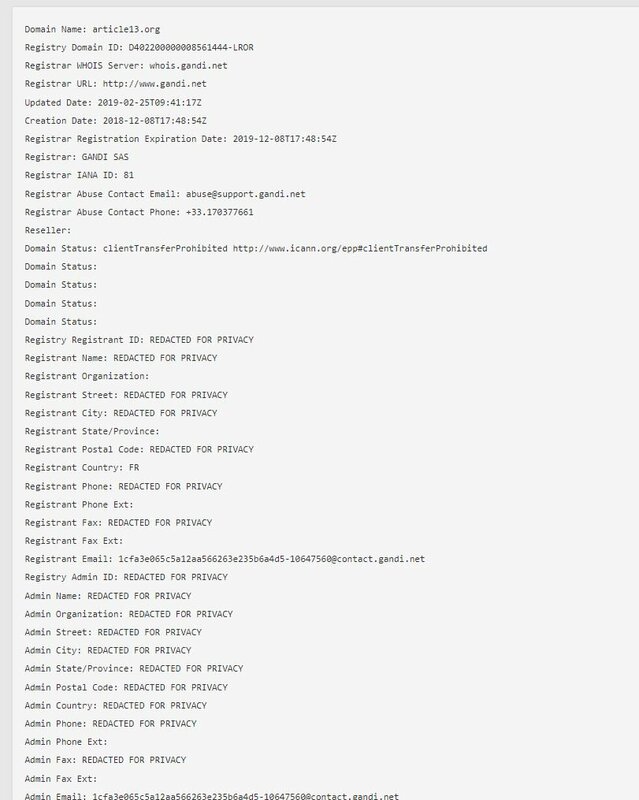 According to the @EU_Commission anyone opposing this law, that academics, human rights defenders at the UN like @davidakaye and even the inventor of the WWW @timberners_lee warn against, is a mob. They’re insulting the greatest supporters of the EU. 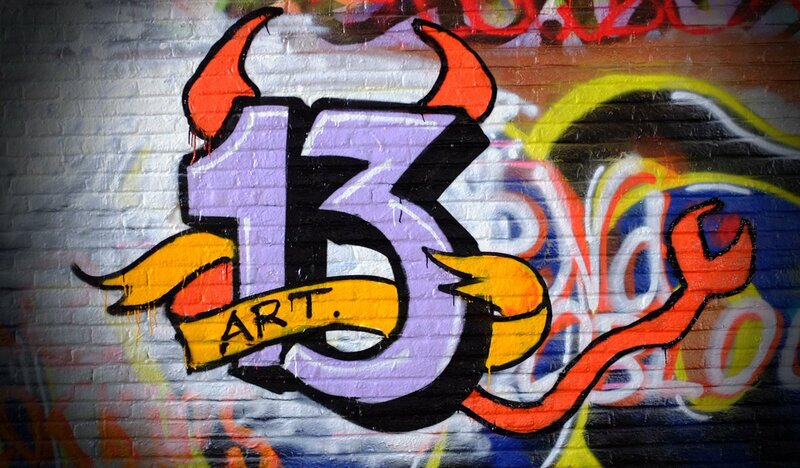 Many people, the @EU_Commission complains, get their info on #Article13 on YouTube, where it’s all lies & short slogans. 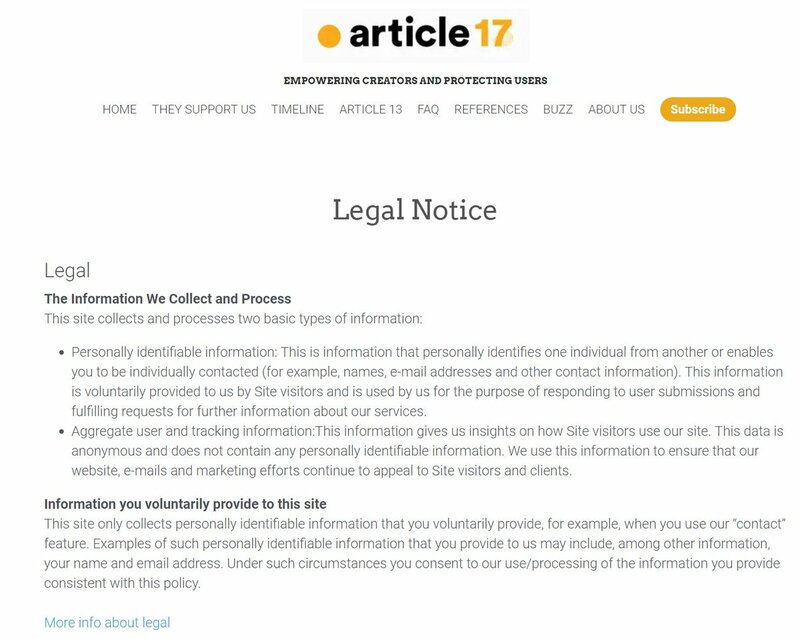 Guess what: One of the most popular videos is a lawyer explaining #Article13 paragraph by paragraph. The video is 50 minutes long. We wrote to key decisionmakers today asking them to consider rejecting these two dangerous copyright proposals, or place strict controls to prevent abuse by tech companies and rightsholders. 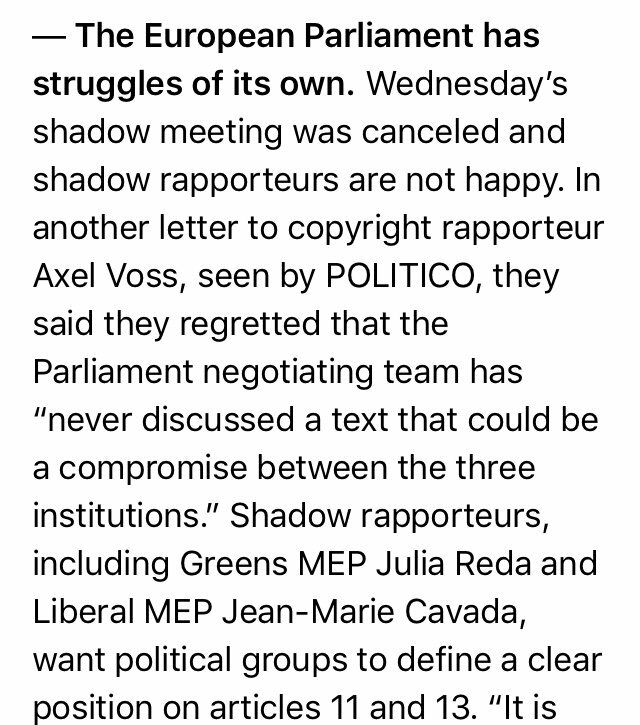 Copyright filters and new copyright-like powers over news snippets are being sold as a way to fix journalism and the European music industry. They'll fix neither. 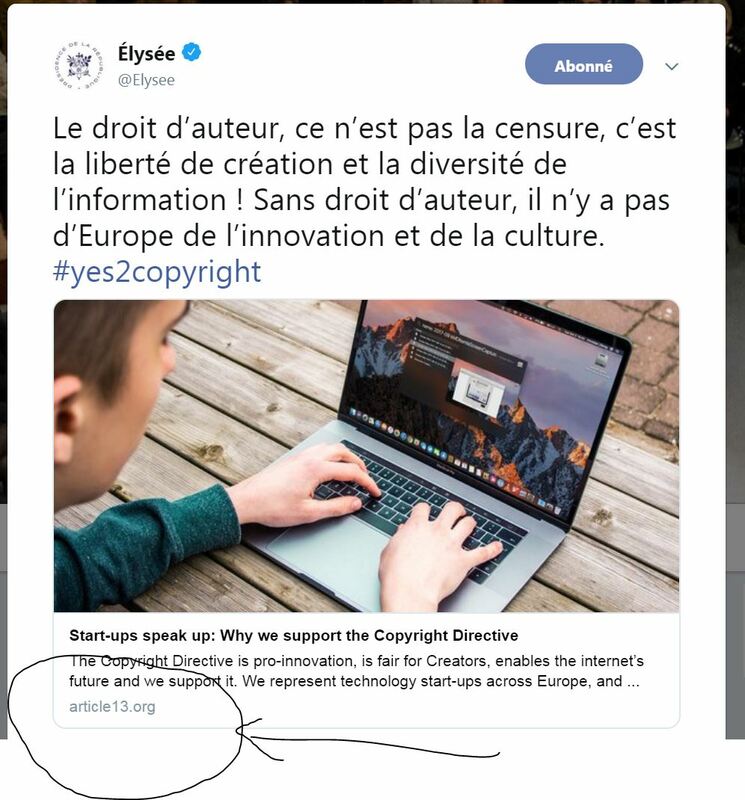 I think I might complain at the EU regarding #Article11 and #Article13. 🤔 sounds like a fun way to wrap up this evening. I'm not kidding. Anyone can effectively make their voices heard on this, and y'all don't even need to get your butts out of your chair. You, as Austrian EU parliament members, voted in FAVOR of VOSS A8-0245/2018 (#Article13). I think you misunderstand how the internet works and I urge you to reconsider your vote. Article 13 has passed. This is not good for the health of the internet you know and love. The lawmakers of the European Union know less about the internet than lawmakers in the United States. The more you think about that, the worse and worse it gets. Our live coverage of the EUs Parliamentary vote on “Copyright in the Digital Single Market" directive—including #Article13 and #Article11—begins now. Follow us @efflive for commentary. This committee vote may be the last chance a democratic institution has to modify the bill. #Article11 of the proposed law would create a new quasi-copyright power that would let news organizations charge others for linking and quoting tiny snippets of their news stories—even when they describe well-known facts, like "Trump Travels to Korea." 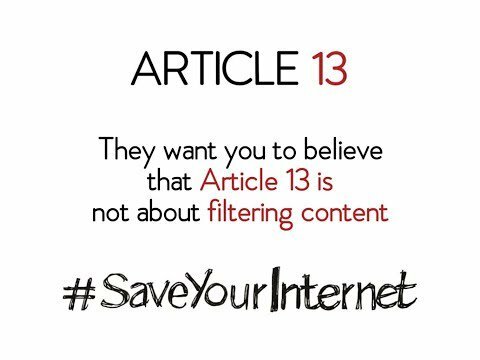 #Article13 would require mandatory copyright filters on any site that lets users upload their content to the world. These filters would scan every contribution to the Web, and refuse to accept anything that its algorithms believe may be copyrighted material.